The result of an unusual collaboration between Konami’s legendary Fox Team and Platinum Studios, Metal Gear Solid Rising: Revengeance takes the series’ b-list star Raiden and puts him in the spotlight. Featuring unique play mechanics and a much more action-oriented approach, the game definitely brings a different approach to the table. Series fans are used to twists by now, and Metal Gear has seemingly gone through endless divergences. This latest take on the franchise is different from most of the earlier installments, but players will probably find much to enjoy in the surprising changes, overdue renovations and, innovations made this time around. 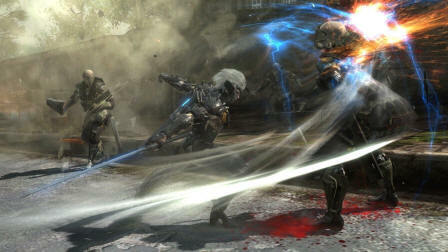 Taking place several years after the events of Metal Gear Solid 4, Metal Gear Rising: Revengeance allows players to take the role of Raiden for a change. His emergence marks a distinct change from the brooding Solid Snake and his stealthy style. The game takes a different approach almost immediately, with a brutal initial boss encounter that shows the character’s limits and flaws while also showing his potential in combat. Most of the stealth action, extended cinematic sequences and lectures players have come to expect from the series have been scaled-back to focus on the action. It’s not an entirely unexpected approach, given that the developers from Platinum Games have built their reputation on titles like Bayonetta, but one that makes the latest game in this long-running franchise feel different from previous installments. There’s definitely a more kinetic style this time around and it makes the game more exciting and accessible for new players, though veterans might miss the more cerebral style of the MGS series. 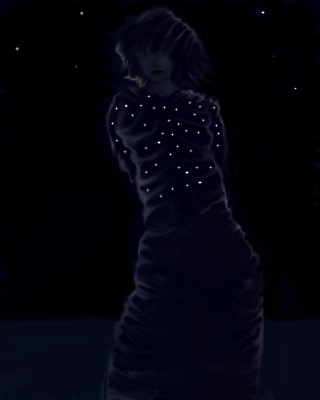 It’s a trade-off that seems to have been made a nd while its not entirely a new game, it does contain some fresh ideas. There are definitely some memorable moments that come unexpectedly and make you feel like you’re in a different time. However, there’s enough that carries over from previous installments and that the game successfully breaks new ground while staying somewhat consistent with the long-running mythology. One of the biggest differences between Revengeance and the usual MGS mechanics is evident right away in it combat style. As most players are probably aware, Raiden’s main form of attack lies in his sword which he can use to slash any enemies nearby. He can also use it to cut open other items such as boxes and cases to uncover hidden items. Slicing through opponents isn’t that difficult, you simply press the button and the sword flies through opponents quickly. Using this technique allows you to inflict a lot of damage quickly. He has two basic attacks, a sideways motion and a horizontal slash, which players can toggle between to create combos for maximum effectiveness. Most of the standard opponents take several attacks to defeat, but you can hasten their end by quickly slashing them at close range. This leaves you vulnerable to attack, but allows you to inflict plenty of damage from this mode. Once you’ve gotten the basic moves down, you can then switch to free-range mode where you can cut enemies down in a free-flowing fashion, giving you the ability to alternate attacks quicker with more precision, inflicting even more damage. The controls are fairly easy to get the hang of and the extended tutorials and trademark VR missions will help most players sharpen their skills effortlessly. Its definitely not something you want to spend to much time on, but learning how to maneuver your blade effectively will aid your progress during the main game. The system is quite good and fairly intuitive, allowing you plenty of freedom without becoming confusing or directionless. This gives the player much more freedom and helps to give Revengeance a unique feel. In this mode, you can attack foes in a variety of ways and effectively take control of his blade with your hands. This opens up the combat structure in significant ways, making the action occur at a frenetic pace as you furiously attack opponents. When they counter attack you can respond in two different ways. At some points, they’ll pummel you relentlessly if you stay in one place, quickly cutting down your life gauge. The first strategy is to get out of their way. You can use his ninja run mode to quickly escape their attacks. You simply press the shift button and run, from them quickly. This helps Raiden escape danger and allows you to regroup, or collect power-ups nearby. As you gain more proficiency with the controls, you can also learn to use the parry technique. Here, you only need to press down on the analog stick in the same direction, which both deflects their attack, and stuns then briefly. Using this opportunity, you can damage them and get away. Most enemies are fairly smart and won’t go down easily. Most opponents take several attacks to beat and can usually be finished off by a succession of standard moves. Players will also find a variety of extra weapons such as grenade launchers and missiles that they can use. These can be equipped on the menu quickly and can effectively damage an opponent. Most of these secondary weapons are single-use only and while they give you an advantage in battle, they usually aren’t the decisive factor. The exception to this rule comes when you can sneak up behind them and finish them off instantly. It’s a fairly simple move that’s reminiscent of other MGS titles, you basically walk up to them slowly and slash them from behind once your stealth indicator appears. This is a highly effective way of clearing out some of the enemies before you engage in the main battle. However, this usually alerts other nearby opponents of your presence, so you can only use it once or twice in most areas. This gives Revengeance a different feel than most other titles, with a much stronger emphasis placed on combat and cutting combat. Another change in the basic mechanics comes when you reach the extended boss battles or encounters with the smaller Metal Gears during the missions. These battles can become long struggles of endurance and skill. You usually need to find the foes’ weak points and pummel them and avoid their attacks, which can be tricky to uncover. Most players shouldn’t have much trouble once they get the conventions down, it’s just a matter of endurance and execution. These battles also bring forth a different play mechanic. When you’ve beaten an opponent down enough, they’ll become dazed for a moment. At these points, the game changes into quick0time events where you have to press a button at a certain point. These timed sequences take you out of the action a bit, but allow the game to show some fairly dramatic finishing move sequences. Once you’ve gotten their damage gauge down a bit, you can then perform a finishing move and slice them open. When they fall, most enemies leave behind nano that you can integrate into Raiden’s suit, giving him a quick health boost or the nano-paste which upgrades your abilities. This system works fairly well and gives players an excellent sense of risk and reward. You definitely take a chance with every encounter and a few mis-steps can mean significant damage. However, defeating them allows you to quickly recharge your energy and upgrade your suit with the nano-paste modules. His suit gives him some other special abilities such as the inclusion of augmented reality, which aids him in locating hidden enemies. This allows him to see their heat signatures behind walls and other objects. Its quite an advanced suit and looks technically cool and futuristic in the style Kojima fans have become used to. Keeping track of all of this technology he’s embedded with is a fairly simple task. You pull up your inventory at almost any point, using the d-pad to scroll through and equip various items instantly. It’s fairly similar to the system used in previous MGS titles, though it seems a bit more streamlined this time. This is mostly useful during standard combat sequences, since the action during boss battles doesn’t give you enough time to really think about this. The game’s structure isn’t as convoluted with the combat unfolding in fairly linear fashion, you won’t be doing a lot of backtracking or making many side-quests during your missions. What’s most interesting about this approach is how it effectively melds the traditional MGS approach with a more straight-forward action title. You aren’t spending a lot of time listening for hints on your radio, and you don’t have to map out levels in advance. Each section of the game is surprisingly compact as well, which confines the action into your immediate surroundings. It helps to sharpen the game’s overall focus. While it’s not as ponderous as one would expect, there are still some interesting plot points and background that should please long-running MGS fans. Revengeance’s action sequences are fairly good for the most part and the graphics engine performs well. There’s a decent level of detail in the design, rendering and movement of most objects. However, there are a few camera glitches that occur occasionally, which is especially annoying when you’re against multiple foes and cannot escape their clutches. This causes needless and frustrating choke-points where the game seems to become stuck in itself. It’s frustrating to see these annoying points occur when the rest of the design feels so polished and sophisticated otherwise. Despite these glitches and technical problems, this is still one of the best-looking current generation games on the market. It’s lush environments and beautifully rendered set-pieces give it a sleek look that few titles can match, It’s elaborate cut-scenes and excellent cinematics give it a flourish and style players will probably enjoy. It definitely has the classic MGS look down to a science with its militaristic genre and weapons showing the now famous attention to detail. The game’s overall design is coherent throughout and players will probably find many of the new characters, enemies and bosses to live up to the MGS legacy. Some of the boss encounters are absolutely epic as well, dragging on for many exciting minutes. The game’s overall pacing is superb as well, taking players from standard battles to epic confrontations at a good clip throughout. You can see the game’s design begin to unfold as it gradually introduces its unique slicing and slashing play mechanics to the player, which gives the game’s elaborate combat sequences a fresh appeal that the more ponderous stealth games lacked. There is a tradeoff to be made and the storyline isn’t as deep or interesting as some of the previous games. They’ve done a good job of bringing Raiden to life, but the foes he faces aren’t that interesting in many ways. Still, there are plenty of memorable moments in Metal Gear Rising: Revengeance that make it well worth playing.